Anyone 12 years of age or older may use any of the Geritol® supplements. 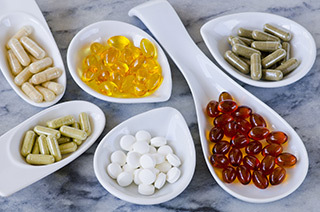 Have your teenager or preteen talk to her doctor about a multivitamin if you’re concerned she isn’t getting the recommended levels of vitamins and minerals from her diet alone. If your child’s doctor recommends a multivitamin, choose one that provides close to 100 percent of the Daily Value of vitamins and minerals. Getting too much of a vitamin (also called mega-dosing) can be dangerous. That’s why it’s so important to choose a well-balanced multivitamin like Geritol®. Geritol® is specially formulated with just the right vitamins in just the right amounts so you can feel your best, everyday! Everyone in your house (age 12 or over) can take Geritol® as a supplement to a healthy and well balanced diet. Hoecker, Jay L M.D. Multivitamins: Do young children need them? 998-2013 Mayo Foundation for Medical Education and Research. Retrieved from: http://www.mayoclinic.com/health/multivitamins/AN01406 February 26, 2013.